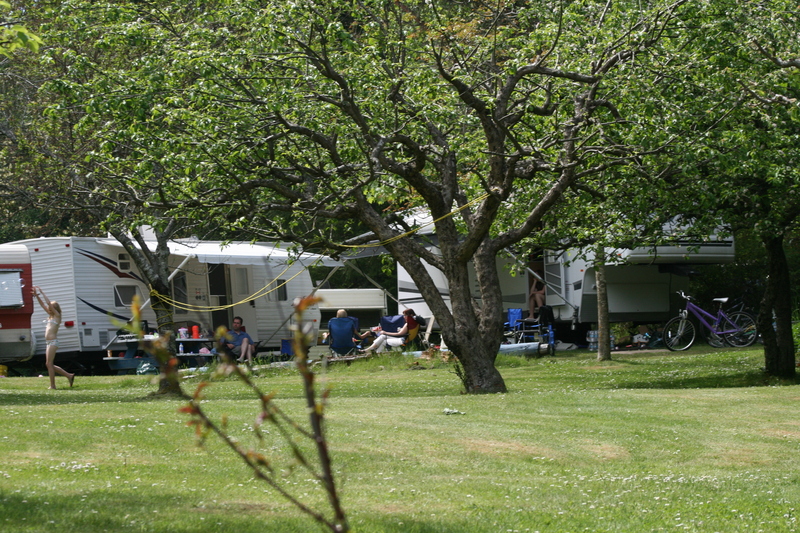 Our private campground is nestled amongst a forested area, an orchard, flowering gardens and the ocean. 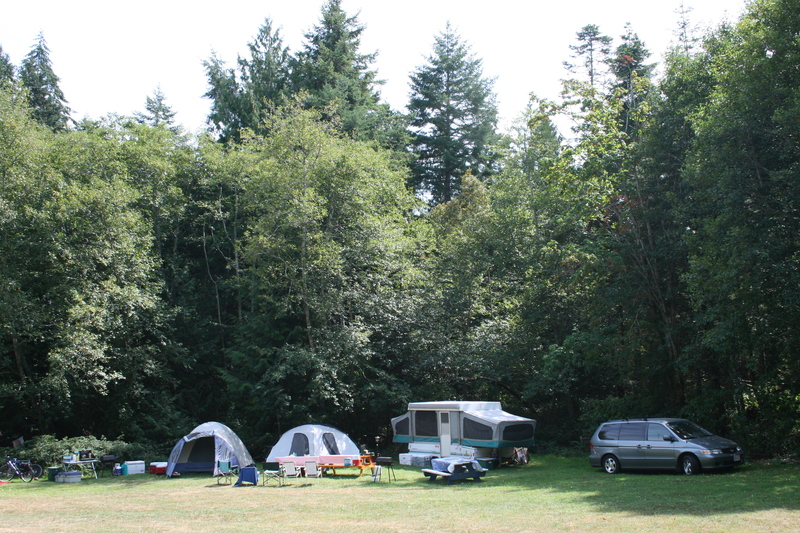 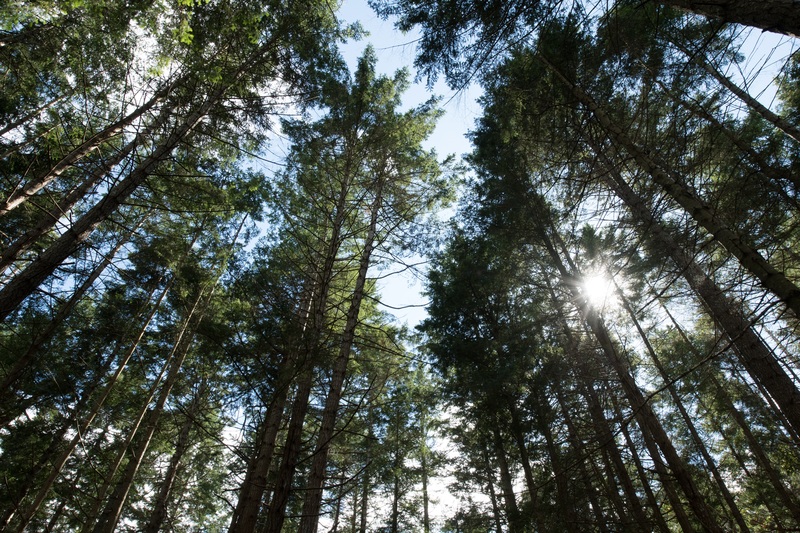 There are secluded tenting sites as well as an open area that can accommodate small groups and RV’s up to 26 feet. 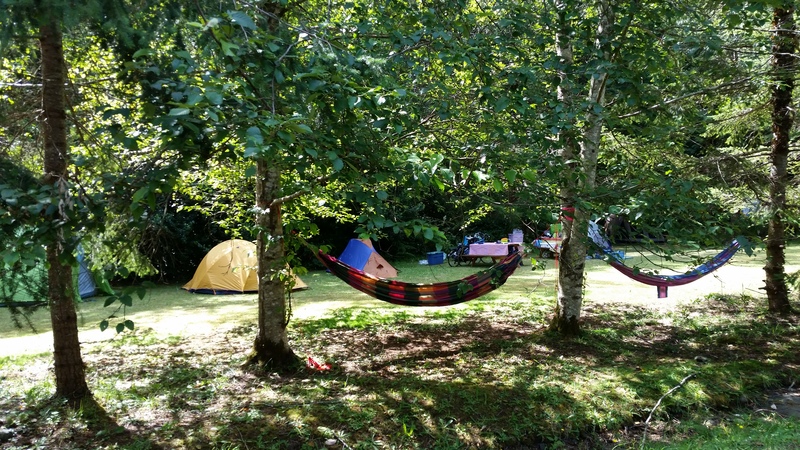 Some sites have available electricity. 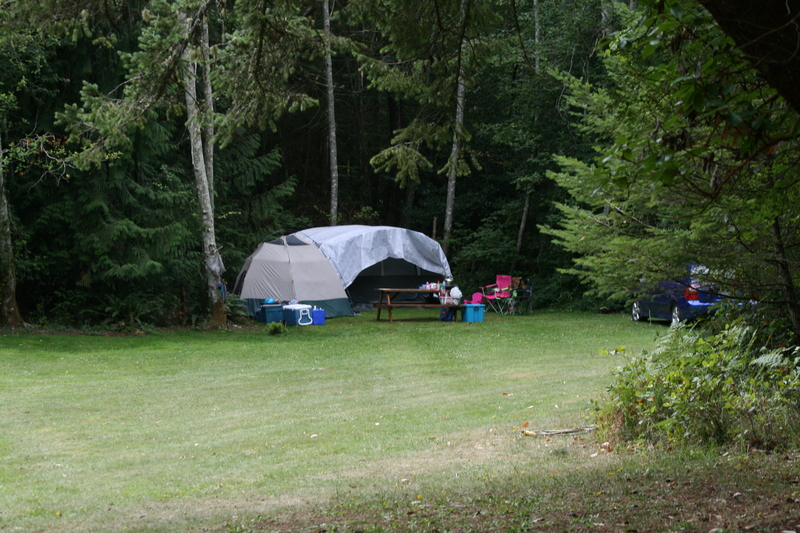 Dish cleaning station, washrooms, showers, laundry facilities and barbeques located in the picnic area.